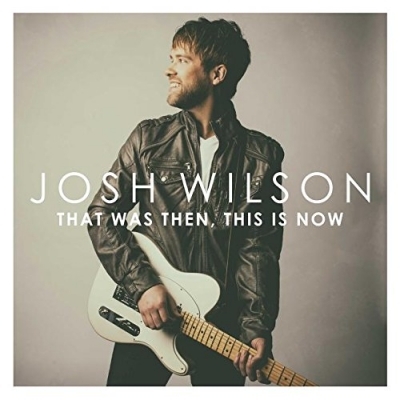 Josh Wilson is no longer letting his past define him with his new album 'That Was Then, This Is Now' (Sparrow) that releases later this month on July 31. The title track and debut radio single from the project is currently climbing radio charts at AC Monitored (No. 12), AC Indicator (No. 4) and the National Christian Audience chart (No. 14). The music video for 'That Was Then, This Is Now' has been unveiled (see below) and fans can also pre-order the album now and receive three digital songs instantly - the title track, 'No More', and 'Blown Away'. This album is a reminder to not be defined by what you’ve done in the past, but who you are in Jesus Christ. With this album, Josh has a renewed sense of calling, vision and excitement for his music and career. Even after nine years, he’s just getting started. With the release of his debut in 2008, Josh has become a staple at Christian radio releasing five Top 10 hits on Billboard’s Hot Christian Songs chart. He has also won the ASCAP Christian Songwriter of the Year in 2012. He has befriended fans across the country while touring with artists such as Casting Crowns, Stevens Curtis Chapman, Third Day and Matthew West. Even veteran artists who applaud Wilson’s carefully honed musicianship have admired his impressive live show. He’s been known to have as many as 20 instruments on-stage at any given time (and knows how to play all of them). The Texas-native started taking piano lessons in fourth grade, learned guitar and drums in sixth and seventh grade, and fell in love with songwriting in college at Nashville’s Belmont University. A self-described introvert with an aversion to the spotlight, Wilson never dreamed he’d be the one behind the mic, but God had other plans.